Real Firefighters. Quality Moving and Storage. What makes Movestar stand out from other moving and storage companies? For over 20 years Movestar firefighter movers has been owned and operated by off-duty firefighters in Dallas Fire and Rescue who care as much about your possessions as they do your safety as firefighters. As experienced firefighter movers, Movestar fireman movers ensures the transition for your local move is smooth, painless and as stress-free as possible. We are one of the only Dallas moving companies that can offer complementary services such as long-term storage, furniture refinishing and restoration in addition to the standard services offered by most moving companies. 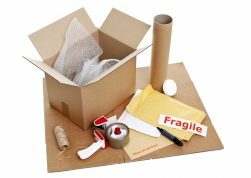 This includes boxes, tape, pads and other materials you need to protect your belongings. 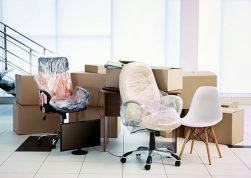 Ask us about our in-home or in-office consultations, or check our blog at www.movestarinc.com/blog for instructional handouts, checklists, useful packing tips and where to start to ensure an effective move. Recipients of the 2010 WFAA – “Nominated Best Movers in North Texas” 1st Place in Dallas! Over 20 years helping people with their moving and storage needs. Contact us today for more information about Movestar Fireman Movers.